I’m not the only one that makes things in this house. 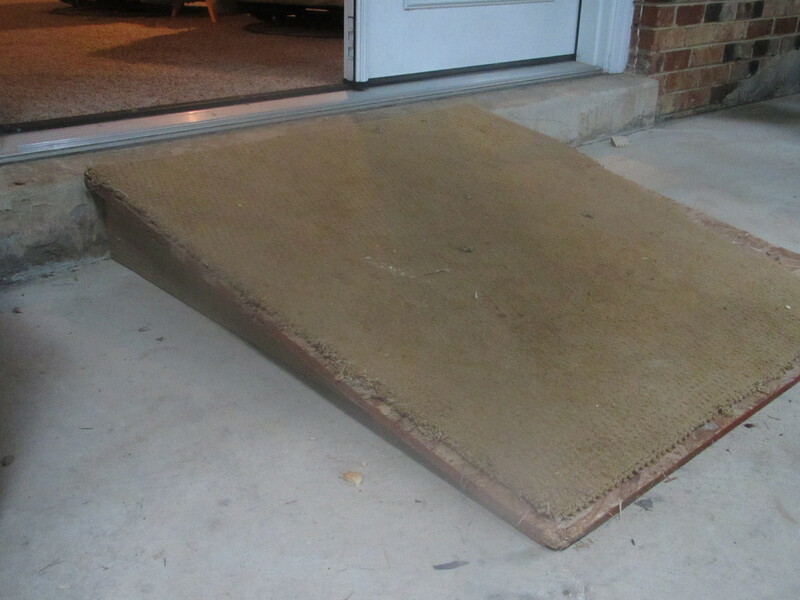 These ramps are thanks to Charles. One from garage to kitchen. 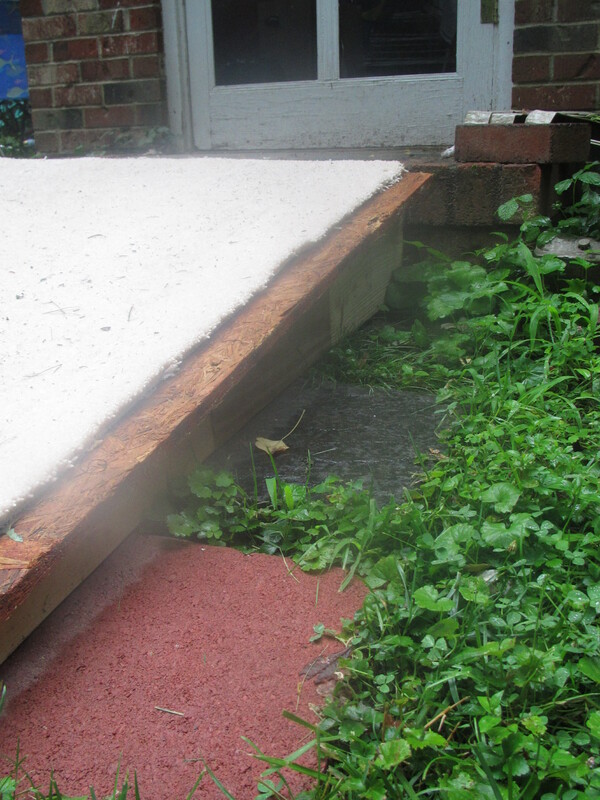 One from downstairs to screened in porch, and one from porch to backyard. 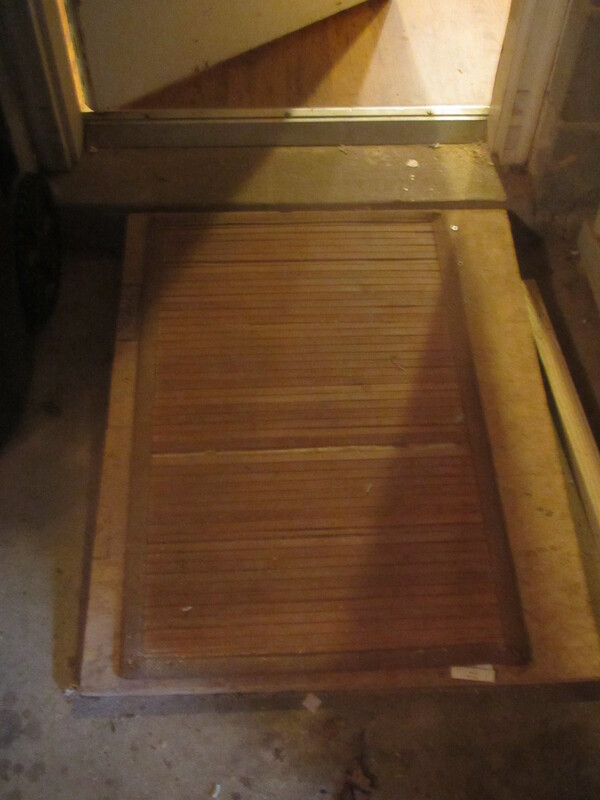 He was able to use scraps of 2×4’s and 2×6’s and plywood to put these together. 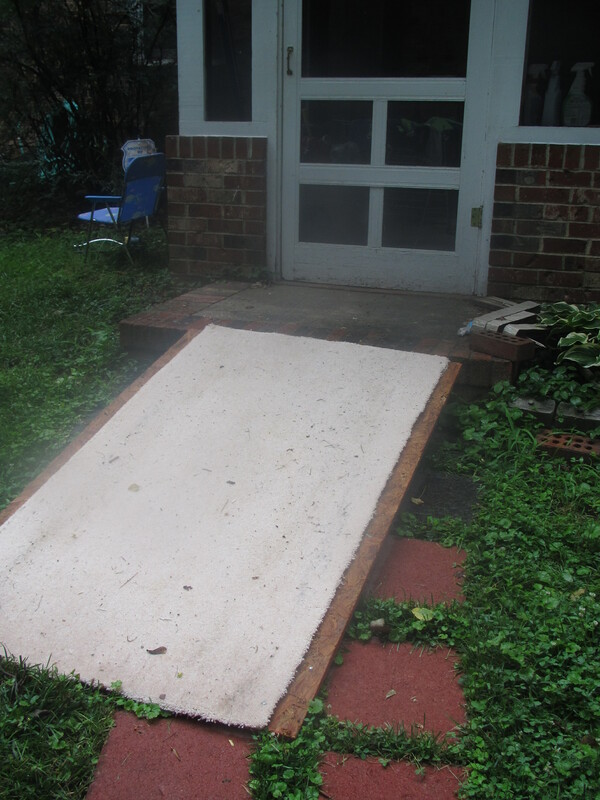 Because two of these ramps go out to the screened in porch and to the backyard (pool), he put carpet on top of the plywood to make it barefeet safe for non-wheelchair users.